I WILL﻿ be blogging the birth story soon! To hold you over until then, you can view the pictures our wonderfully talented friend (and Kye’s teacher! 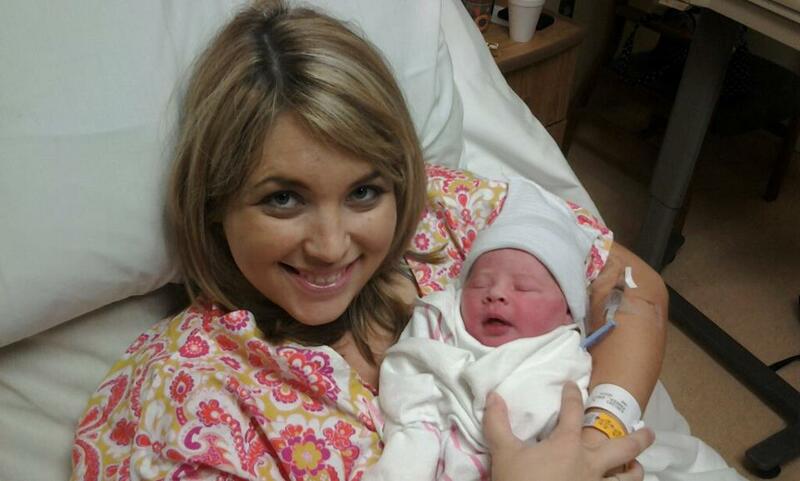 ), Autumn, took in the delivery room for us. They are AMAZING and totally made me cry my first tears since Brittlynn arrived! Can’t wait to hear what everyone thinks! LOVE them! Totally made me tear up! I loved seeing everyone's reaction. Miss Brittlynn is absolutely gorgeous! And the pictures are such a treasure! What amazing moments to have captured forever. So excited to hear that you are both well 🙂 Congratulations to you and your family! Congrats!!! I have been following your blog regularly…I am 35 weeks pregnant and can relate to lot of your posts…Enjoy your princess! Congratulations on a healthy and beautiful baby. This is such an exciting stage in a family's life. God's blessings upon all four of you. Congratulations on your GIRL! Her name is cute! Congratulations girl! She is adorable! Congratulations Parkers! I can't wait to read your birth story. I looked at *most* of the photos and they really made me want to hire a photographer to be at Brenson's delivery. I hadn't really considered it before, but I'm thinking seriously about it now! Congratulations! She is a beautiful baby. I'm glad you're both doing well! I am so happy for your family of 4 🙂 WONDERFUL, PERFECT, CAPTURING photos… your friend did amazing! I guess the subjects were all easy to photograph though….you looked sooo good! I mean really, I'm jealous and only hope that I look that good before, DURING, and after labor!Congrats again and I can't wait to hear more! I used to read your blog awhile ago and am just now finding time to blog hop again & I just realized that we had babies on the same day! My son, Caleb, was born on Dec 6, 2011 at 3:15am. Your Kye is older than my Autumn (Autumn turned 2 last month), but it is so fun for me to read your blog and see how you parent your 2 kiddos 🙂 Two is so much harder than one! Just wanted to say hi & congrats! !